Mt. Juliet, Tenn. – The Middle Tennessee Region, including Mt. Juliet, could be on target for strong to severe thunderstorms during Halloween’s trick-or-treating festivities. If strong to severe storms roll through during the trick-or-treating hours, it would not be safe for children to be out in that environment. So, parents should be considering a Plan-B just in case Halloween is stormed out. The National Weather Service is forecasting a strong cold front to move in late Thursday, which could bring a squall line of thunderstorms ahead of the front. Strong to severe thunderstorms could be embedded in the squall line. The main threat is damaging straight line winds, but tornadoes and hail could be possible. However, since Halloween is a couple of days away and weather forecasting always changes, timing will control storm intensity and impact on trick-or-treating. In addition, the National Weather Service Storm Prediction Center has issued a severe weather outlook for our region on Halloween, which is not a good thing considering it is four days away. Cars are the biggest danger for kids on Halloween. In fact, the Centers for Disease Control and Prevention report that the number of deaths among pedestrians ages 4-15 is four times higher on Halloween than any other night of the year. If storms and trick-or-treating mix, then the danger is increased. Heavy rain limits visibility to drivers, making it harder for motorists to see children in the street. In addition, it makes it harder for children to see where they are going. Wet roads, sidewalks, porches, and grass will create a slick environment that could lead to more falls and injuries as well. The men and women of the Mt. Juliet Police Department will continue to provide the safest possible environment for our children. 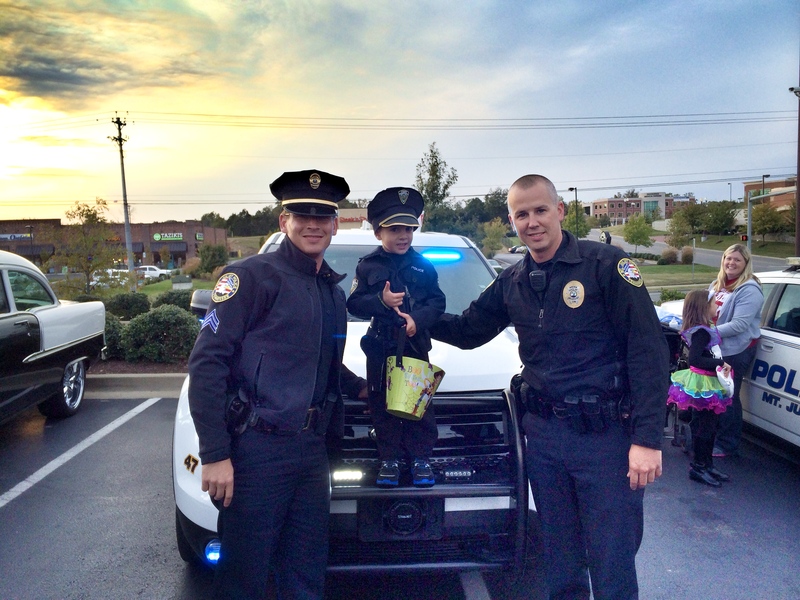 Residents have been inquiring on an alternate date for trick-or-treating. However, the department is not going to decide what day trick-or-treating takes place on, and they are urging residents and parents to use their best judgment. If October 31 Halloween trick-or-treating is stormed out, then the Mt. Juliet Police Department has plans in place to ensure patrol staff levels are increased for Friday and throughout the weekend. We are hoping and strongly recommending that many in Mt. Juliet choose to trick-or-treat on Friday, November 1 as their Plan-B. Like mentioned before, the weather changes quite often. The Mt. Juliet Police Department is going to continue to monitor the weather forecast. which will be more exact closer to Thursday. Continue to follow Mt. Juliet Police with social media on Nixle, Twitter, and Facebook to stay aware of public safety happenings in the community.